American Airlines flight 1495 pulls up while taking off from the Eagle County Regional Airport while transporting passengers to the Dallas/Fort Worth Internation Airport in 2014. Enplanements* at six Colorado regional airports that serve ski areas from 2006 to 2015 and percent change in that decade. Colorado’s resort communities rely heavily on area airports to support their tourism-based economies, but funding flights that bring tourists to town remains a challenge. 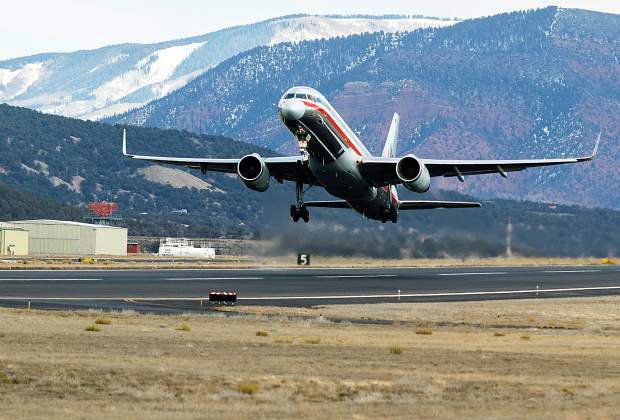 Durango voters this month overwhelmingly rejected a plan to raise property taxes to fund a new $40 million terminal at the overcapacity local airport, revealing the difficulty of funding consistent air service into Colorado’s rural regions. To read more, go to denverpost.com.